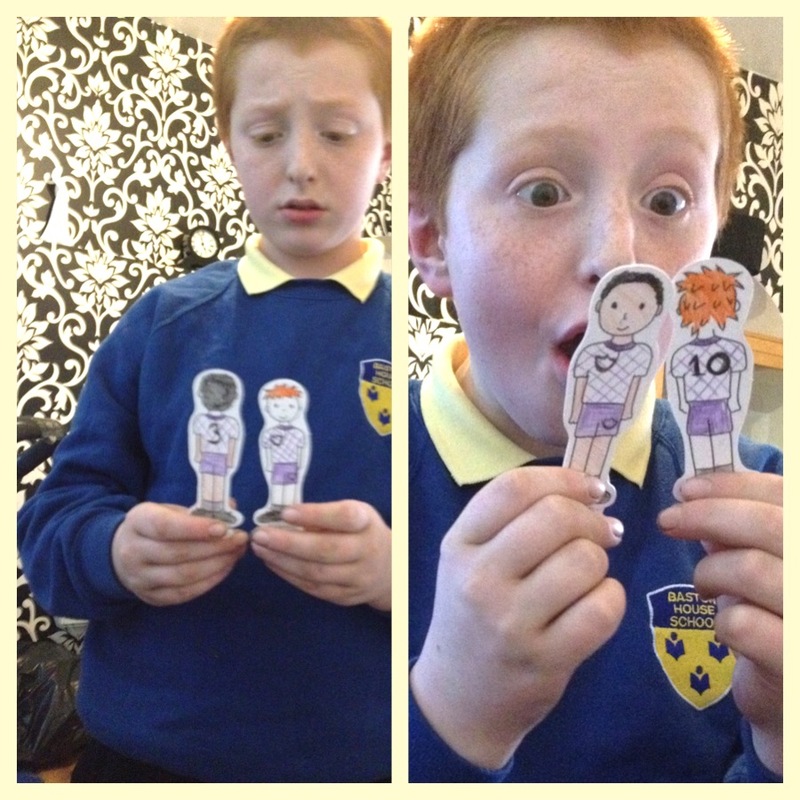 Over the last week I’ve been doing some really fun craft projects with the children. And guess what? Even the Little man has been getting involved! I wanted to do something that each child would find both interesting and fun, something we could do together as a family regardless of everyone’s differing interest. I needed the activity to apply to each child’s interest, something they really love therefore needing little if not any encouragement from mum! Basically participating because they want to. Little man is by far the hardest of my children to engage in any type of activity, especially that of arts and crafts.This basically means that when thinking up an activity I always need to think outside the box! More than not my ideas are inspired by little mans overly intense interest (aka, special interest). 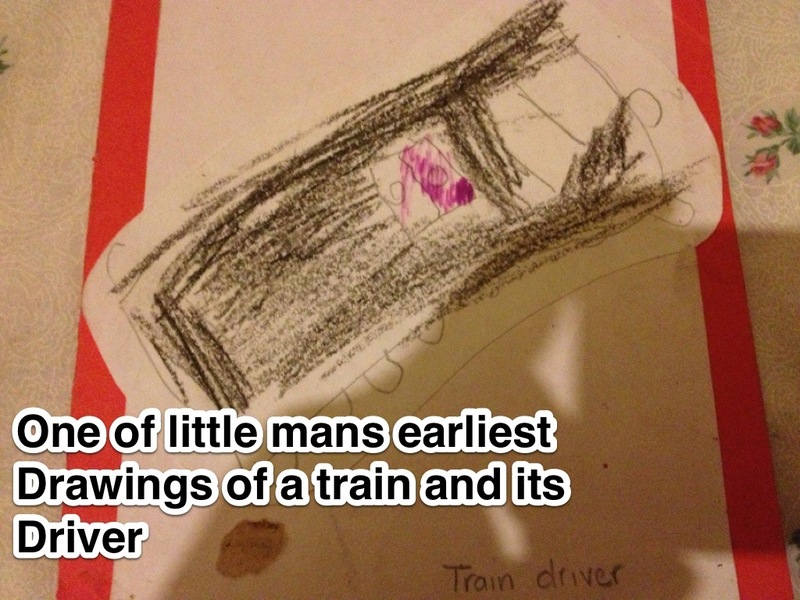 This used to be just transport, however, WWE (wrestling) and Lego have now been added to the list. The idea I had was one that meant little man could incorporate anyone of his interest (all three if desired). It was important for me to have him involved. Throughout this years summer holiday little man hasn’t shown much motivation towards anything we’ve done. Alice-Sara would also love this free style idea as she’s naturally very creative and engages herself well when drawing or crafting. So… Just what was my idea for a fun and engaging art project? Plate Decorating: Yep, that’s right! Having done something similar as a child as part of a school project (using a much more complicated process mind you) Plate decorating is actually a lot fun! I’m not taking about drawing a picture onto a paper plate… Oh no! I wanted the children to have something of a keepsake. I wanted them to have something they could keep for a long period of time, looking back on their creative flair with pride. 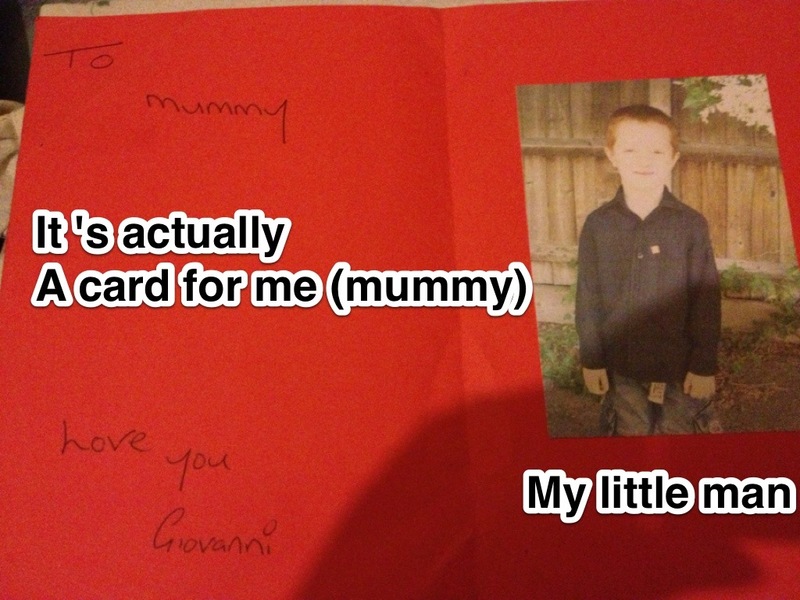 As mentioned I did something similar at school (well, it was at nursery actually). We were given a special type of paper to take home. We were instructed to draw our design on it and then bring it back once complete. They then sent our designs of to have some company transfer them onto these plastic plates. 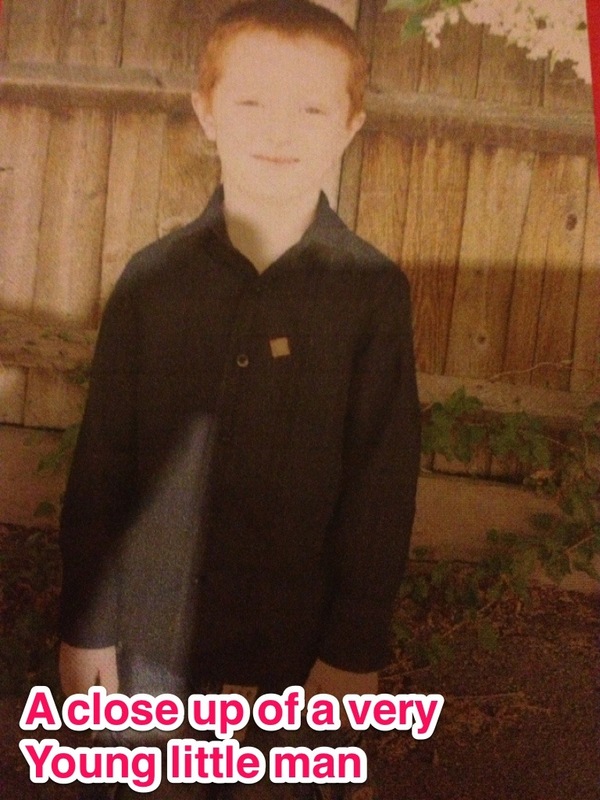 I was 4-years-old and remember that activity like I did it just yesterday. My Grandmother had my plate displayed on her living room wall up In-till the day she died.. I think my father has it now! The above was the inspiration for my idea, though I wanted to do things a little differently from back in the eighties so went shopping for some plain white dinner plates which I found easily enough in a local pound shop meaning I got a total of 4 for the bargain basement price of £4. 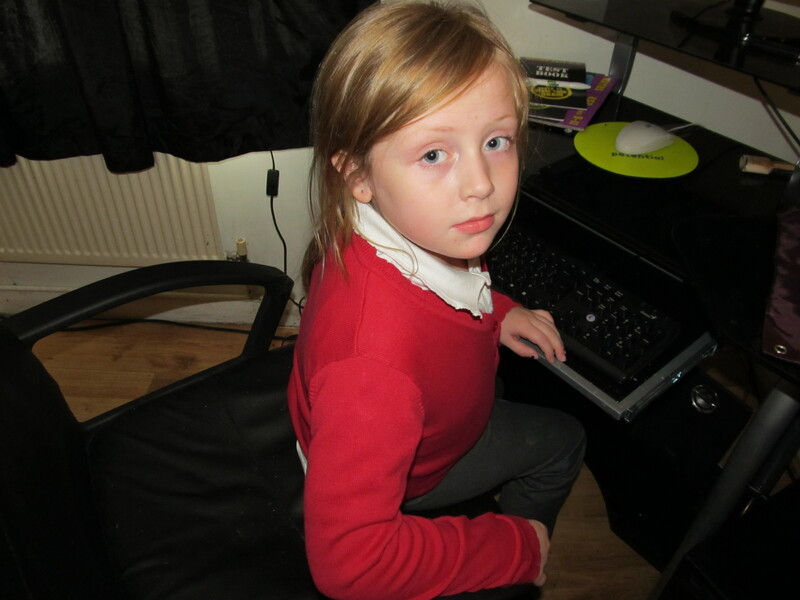 Later that evening myself and the two eldest children sat down ready for work. Little man was reluctant to begin with but once I’d explained there were no specific designs, he could design as he liked he was more willing to try. He doesn’t like colouring because his a perfectionist and finds it hard to stay within the lines of his drawing. This is due to his poor fine motor skills and often causes him problems. As we were drawing our designs directly onto porcelain plates we need to use some special types of pen (normal felts would just rub away). For this we used Brilliant Porcelain Paint Pens, Acrylic Deco Pens and I also used on mine PicTixx 3D Glitter Pens all from the fabulous Baker Ross. The children had fun and even sat by one another for a full 10 minutes before bickering (believe me thats a long time)! Little man’s design was focused around his interest in wresting and this mostly consisted of a selection of different words written in different colours. As some of you may know, little man stopped writing for a good year and a half of his life, only doing so on a computer. To see him now writing and of his own free will, is most pleasing. Little man didn’t spend a great deal of time adding his design to his plate. He did lose interest pretty quickly! As I’ve previously stated, his very hard to engage. Nonetheless, I’m dead proud of his contribution to the project and love his wrestling plate. 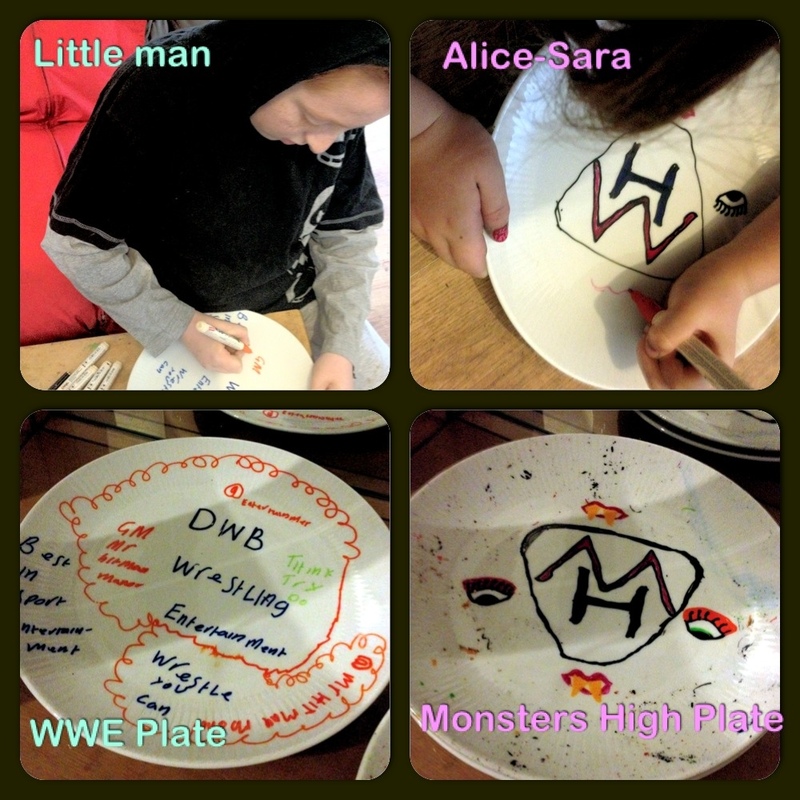 Alice-Sara designed a Monster High plate. This consisted of the monsters high logo with a couple of funky eyes placed on either side. She then added some funky lips and fangs before finally adding lots of different coloured speckles to finish off. 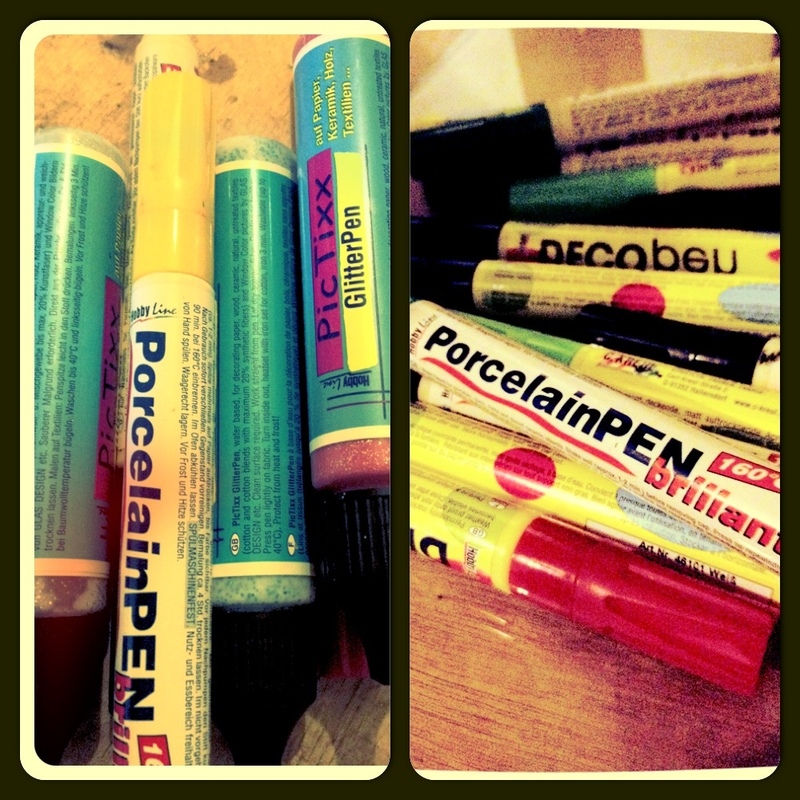 The pens are really easy to use as opposed to using paints and brushes. 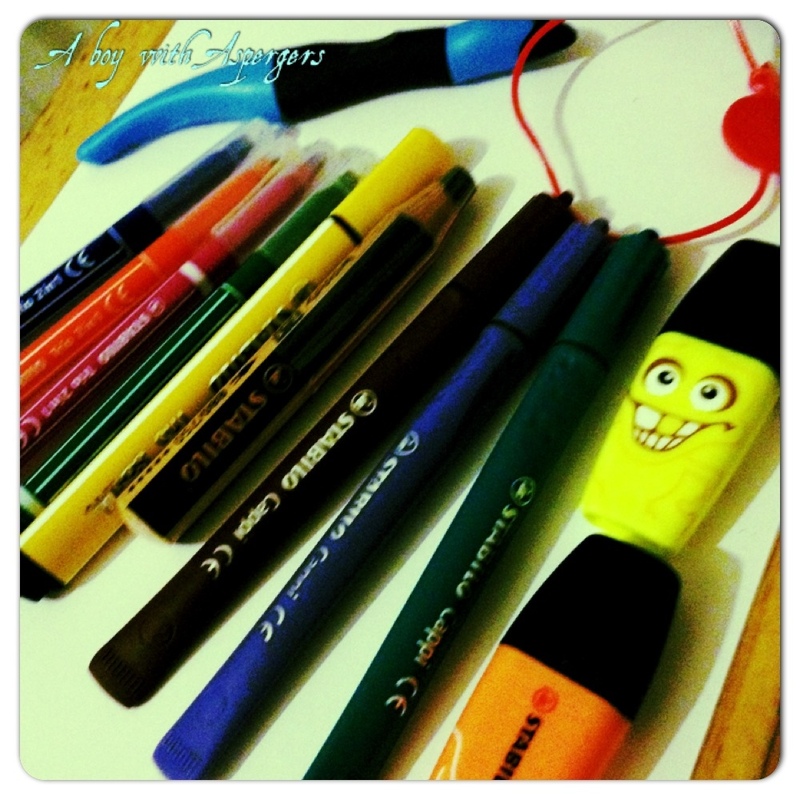 By using the pens the children have a greater control over their design. 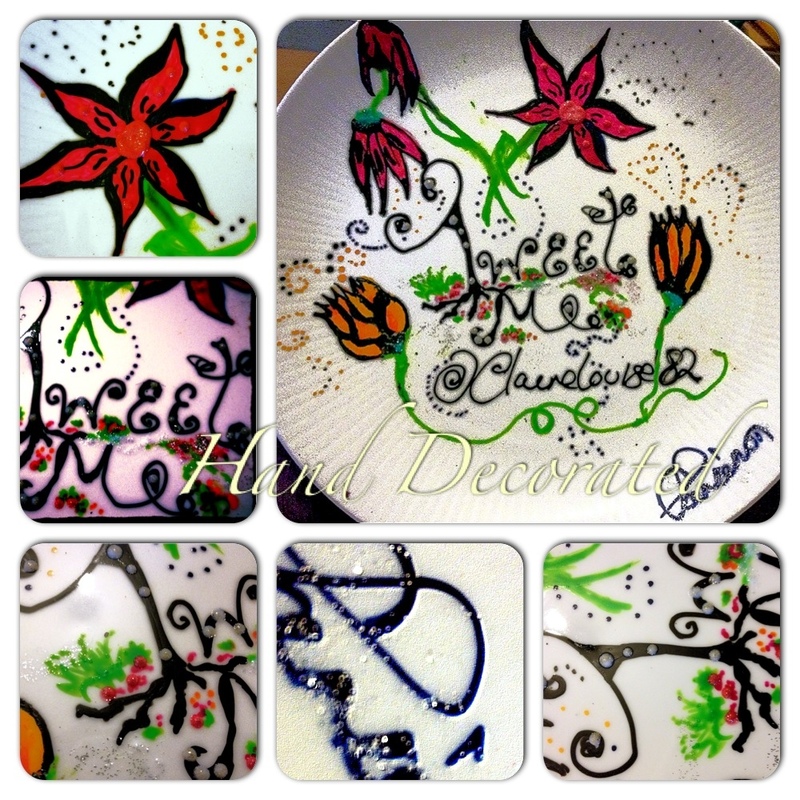 Alice and Little man mainly used the Brilliant Porcelain Paint Pens on their plates. The only thing you must ensure is that they don’t press down to hard as then too much paint gets released and the design will run. 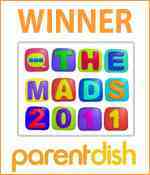 Once the children had both finished their plate I sealed their designs in the oven at 160’c. I also got in on the action and having no idea what I wanted to do, I just messed around a little. 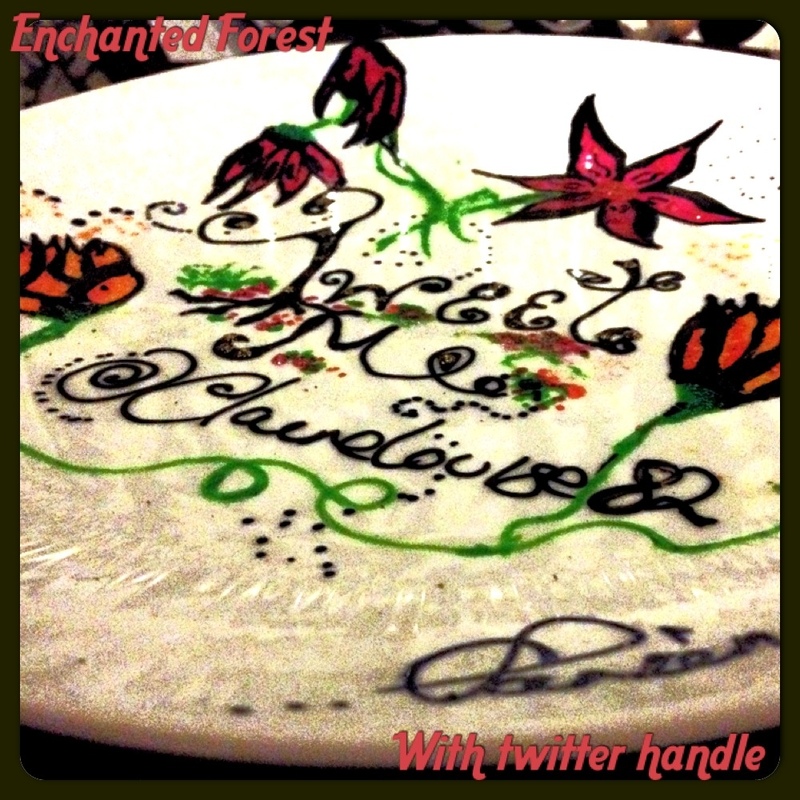 I ended up with this funky enchanted forest design that I doodled around my twitter handle. 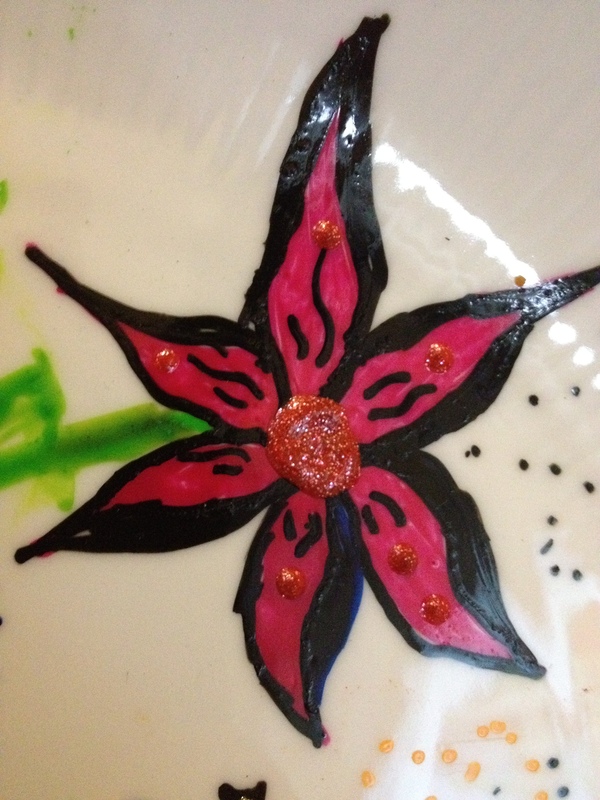 I also used PicTixx 3D Glitter Pens that can be applied to almost any surface and even washed at 30 degrees (I’m also currently using these on a pair of jeans I’m customising for my daughter) in this case I used the PicTixx to add a little sparkle to my plates finished design. We also decorated some glass with Deco and Porcelain pens and though we haven’t quite finished yet here’s a little taster of how it’s going. 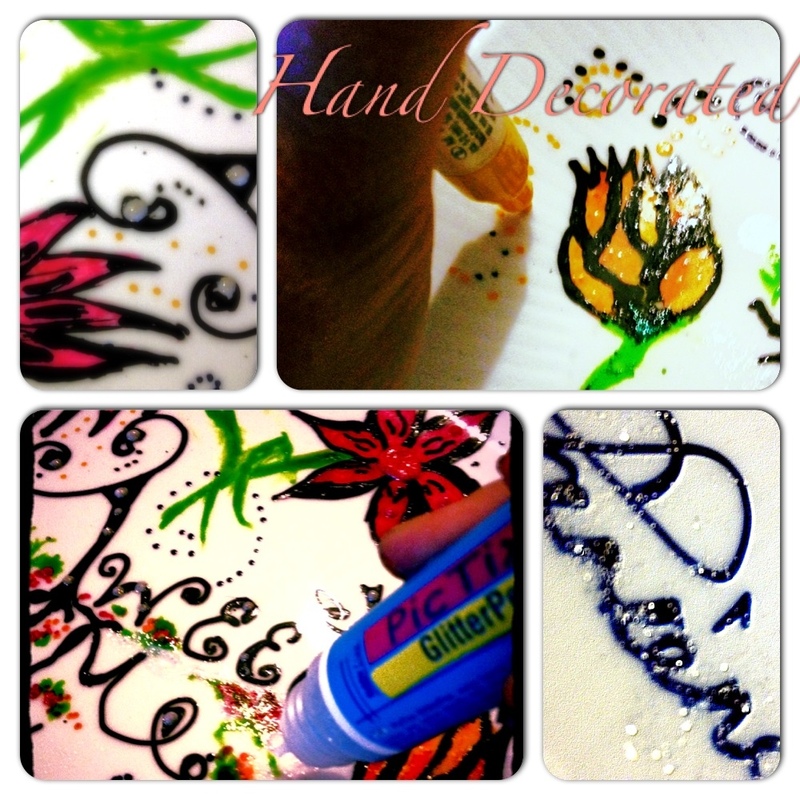 This made a lovely evening of crafting and the project is easy to do with really effective results. You don’t have to buy new plates to personalise, you could always up cycle old ones you already have. I’m currently doing the same with some old jam jars and a vase thats seen better days (I’ll be sure to share with all once I’ve finished). 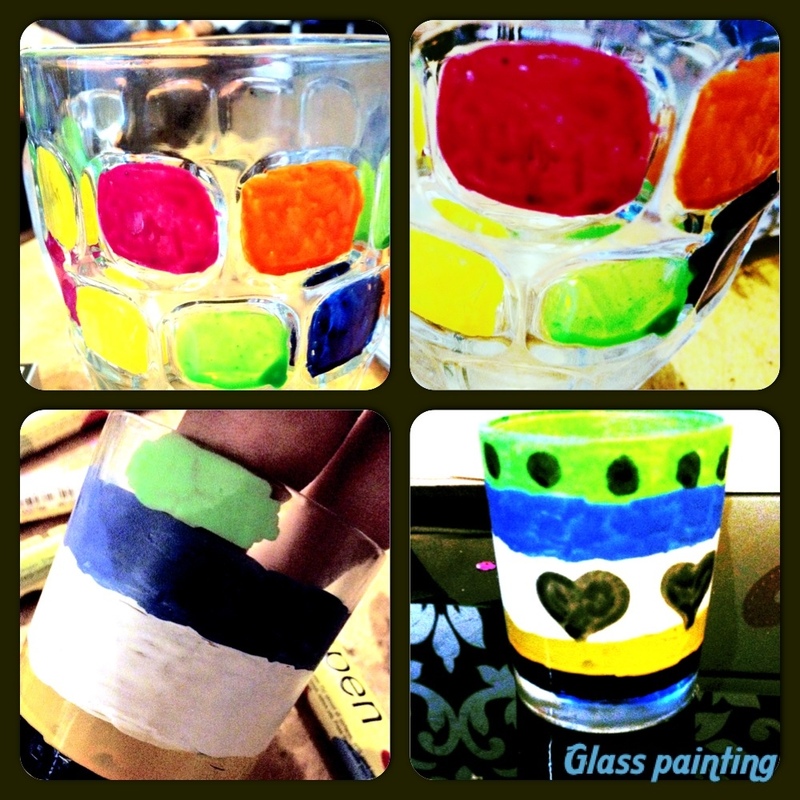 Recap; What we used for both our plates and glass painting. It’s fantastic when you receive an email inviting you to try out an exciting new product and exciting is what I’d describe Carddies to be. I had seen Carddies floating around on twitter so had popped over to their site to see what they were all about. The product itself is really simple but the idea a clever one that combines both creativity and play. Well, basically Carddies are a series of colouring kits that consist of card people who live in a box. Each box of carddies comes with its own theme and consists of hand drawn card people to colour, colouring pencils, hand drawn background scene to colour and little plastic stands so your carddies can stand upright and be played with. Carddies are designed for children 3+ though the toddler who is 2, has also has been having lots of fun playing with his sisters finished set. I love the idea behind Carrdies and feel they would be brilliant for creating social stories for a child on the autism spectrum while encouraging creativity and improvements in fine motor skills. 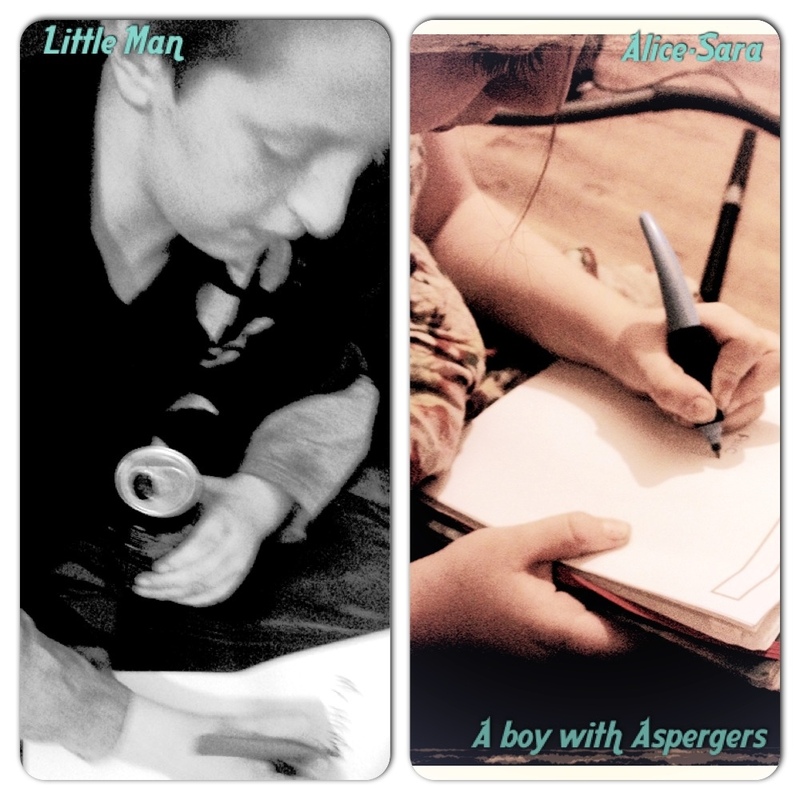 Carddies were kind enough to send both Alice-Sara and Little man (aka A boy with Apsergers) a pack each to try. Now Alice-Sara is very creative when its comes to arts and crafts where Little man has always had difficulties with his fine motor skills and therefore will normally give up very quickly on anything that requires any colouring. The fact Little man was sent a football theme box of Carddies made all the difference and he had fun actually designing the kits for the players. 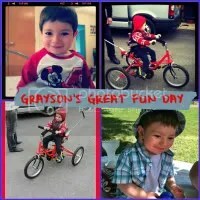 It was a great way to unleash some inner creativity that he has and he remained on task for a little longer than usual. What was great about the above kit was the fact this one even came with its own plastic little ball so once the players were fully customised and connected to each of their stands you could engage in some imaginative football play. OK, Little man still hasn’t really got the who concept of imaginative play but he has recently developed a bit of an obsession in WWE and for the first time ever has asked for some play figures. We got him some and his play revolves largely around him pretending to be a WWE wrestler fighting his 10 inch figures (a little strange and creates quite a lot of noise)! Little man has asked me to tell the makers of Carddies to draw some WWE wrestlers and they will make a lot of money… Bless him! Alice-Sara was sent a family 1 box of carddies. She had loads of fun colouring them in and giving each a name. The lovely people at Carddies even popped a few extra people and animals in with the delivery for Harley my 2-year-old toddler to play with and he loves them so much his also been happily playing with Alice-Sara’s finished family members. 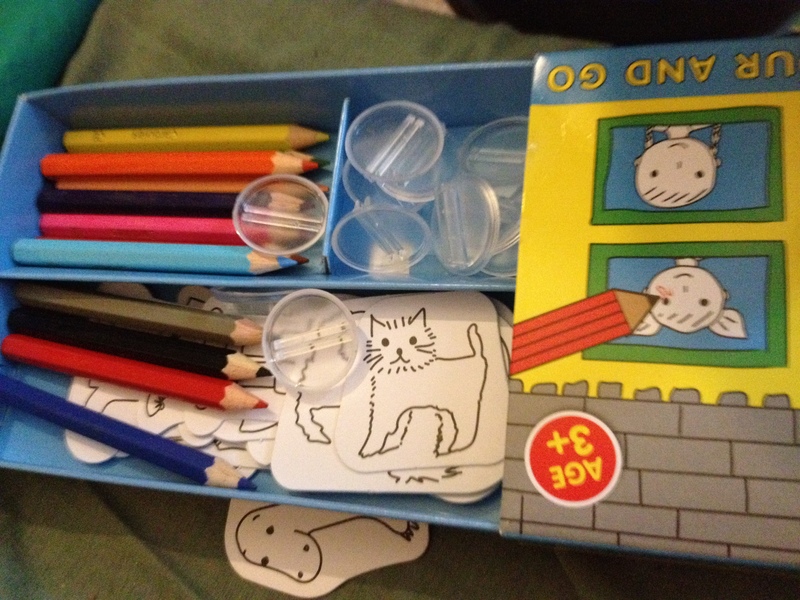 As mentioned, each box comes with its own background scene to colour so it provides the children with lots to do. Little man hasn’t completed his scene yet though I’m sure he’ll find the motivation soon. There are currently 10 sets of Carddies to choose from and many more on the way. I love how Carddies is a family owned business. The brand is owned by two sisters, Raquel and Esther. Raquel started drawing and making little card people out of cereal boxes for her three daughters during rainy house bound holidays. Since then Raquel has drawn lots of little card people for hundreds of children. Raquel joined forces with her sister Ester and made this lovely idea into a business that has now been nominated for many awards and loved by thousands. Check out the Carddies site where children can join up to the special Carddies club which is packed full of exciting games and treats. Disclaimer: This is a review post, all opinions are honest and those of my own. We were not paid to write this review but did get provided with a sample so we could share our opinions. Little man has a bit of a thing for the game Jenga, it all started when he first discovered it at his new special school for children with autism and aspergers. That’s why I jumped at the chance to review the ‘Giant Jenga Game’ from Garden games. Ok, it’s not exactly summer outside but Giant Jenga can be played both indoors and outdoors. The Giant Jenga that goes by the name of ‘Mega Hi Tower In A Bag’ consists of 58 mega blocks measuring 34x 70x 207mm and comes in its own waterproof carry bag. Little man was extremely excited to be sent the Giant Jenga and within five minutes of it arriving it was already out of the bag and well on it’s way to becoming a mega high tower right there in the middle of our living room. Jenga is a great game for children on the autism spectrum as it helps them to “think outside the box” problem solve, helps aid the development of both fine and gross motor skills, as-well as teaching the child patience and how to deal with competition (a vital life skill for any child). The children had great fun with this game! It was actually quite nice to see my two eldest playing nicely together, as little man tends to push his sister away preferring to play alone (obviously, playing Jenga alone isn’t much fun). Even the youngest member of the family, 23 month old Harley observed his siblings in play mode before going in for the kill. I do recommend that you stay close by if younger children are playing, this falling tower will hurt! 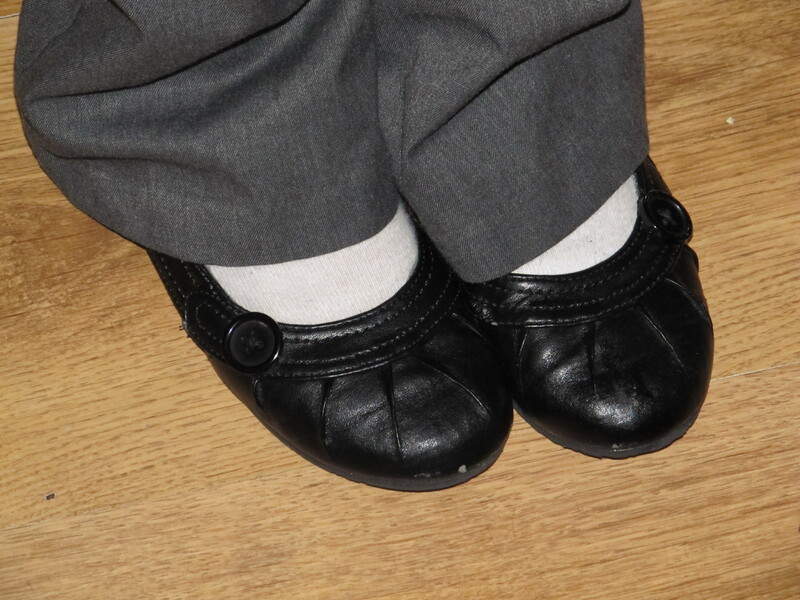 Another recommendation would be to ensure all children are wearing appropriate footwear, as a tumbling tower will no doubt hurt little toes. A massive advantage to playing the extra-large vision of this much-loved game was the fact it was much less fiddly for the little man! Yes, you do still need to take extra care not to remove the wrong piece of Jenga and make your tower tumble, but it’s much easier to remove the pieces if the child has poor fine motor skills like Little man. The Giant pieces are defiantly a bonus in this respect. All in all, Giant Jenga provide us with a lot of family fun, though it will be that much better come the summer, played in the garden with a BQQ going. Giant Jenga could also prove a good game for the adults, as I can see myself pulling this one out come Christmas Day when a few of the family join us. It will provide lots of laughs especially after a few glasses of bubbly, that’s for sure. At £49.99 I did consider it a tad pricey, though if I’m honest this is a well made game, so its bound to last for years to come. An awesome 4 stars from us. 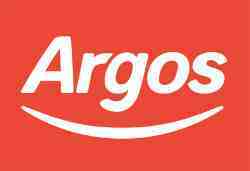 As mentioned last week Argos have come on board and are now taking part in our, ‘Santa’s Little Helpers’ feature. Last time, I introduced you to the, ‘Fab 15’ (Argos top toys this Christmas) and with the help of Alice-Sara, my very willing 8-year-old daughter, we shared with you our review of the fabulous new baby Annabell. This week it’s Little man who takes the rains when testing the ‘KREO Transformers Bumblebee’ construction set by Hasbro. 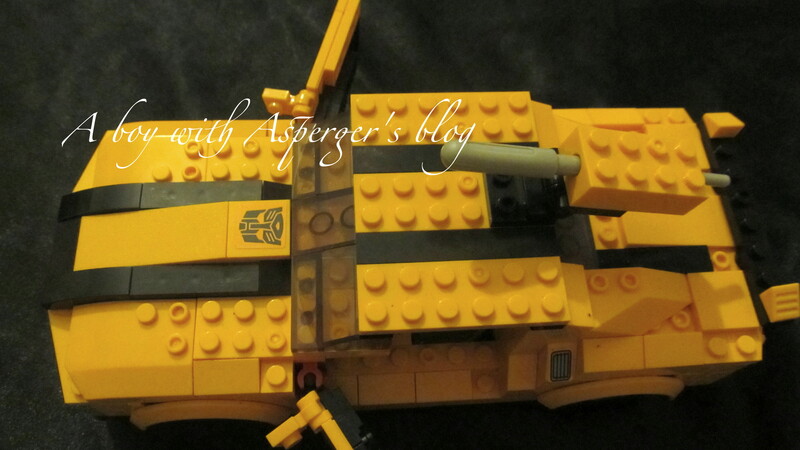 This construction set is a cross between LEGO & Transformers. It was launched a few months back and has already been hailed as one of the biggest boys toys this Christmas. The set was delivered well boxed and contained some 300+ pieces, plus 3 Keron figures. The contents allow the child to build in two modes, giving them the chance to either build a robot (Transformer) or vehicle (Sports car). Yes, there are lots of pieces to put together, but given to the right child this is an awesome toy. The instructions were not overly complication but maybe a tad advanced for a 7-year-old but also had lots of images to help your child along the way. Little man was really pleased with the ‘KRE-O Bumblebee’ his a big fan of LEGO and when I first told him he was being sent the KRE-O, he insisted he wouldn’t like it as it wasn’t “LEGO” How wrong he was, he honestly loves the set and a few more have been added to his Christmas Wish list. What’s really fantastic about the Hasbro KREO Bumblebee construction set is the fact it’s prices are compatible with all your other major brands such as LEGO. They fit together perfectly and can be used together with ease. The doors open and close which delights my Little man (it’s the little things that count isn’t it)! You can also take two of your three keron figures for a test drive! Little man has refused to take this apart to make the transformer which is father is dying to do (boys & their toys)! He told me he hasn’t yet had enough fun with his sports car, which is fine, bless him! What I can tell you is that once in Robot mode the wings can be converted into gliders for your Keron figures to take a ride on. Little man really loves this set and despite his difficulties with fine motor skills, he has no issues, even with the smaller pieces. Yes, I’ve stepped on one or two pieces of KRE-O… Ouch… they resemble LEGO in every way, including the pain they provide to your foot when trod on. I really couldn’t tell the difference between the two, so would defiantly recommend to all LEGO lovers, you wont be disappointed! The recommended age of 7+ seems about right, although I would advise that younger children may need a little help to follow the instructions as may those who are on the autism spectrum as did Little man. 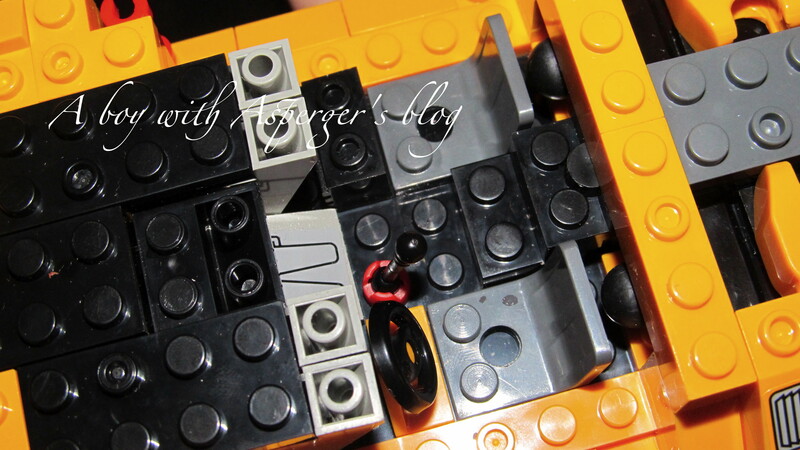 Lots of small (I mean very small pieces) so make sure this is done away from toddlers. Provides a great bonding experience. 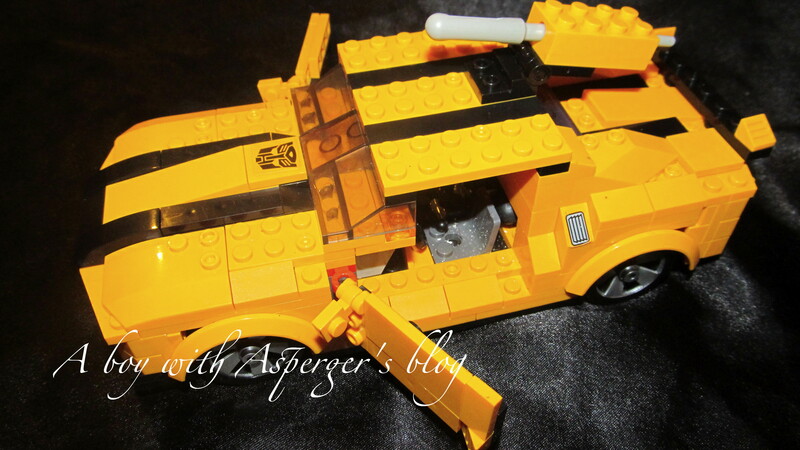 Little man and his father had hours of fun building the bumblebee car together. 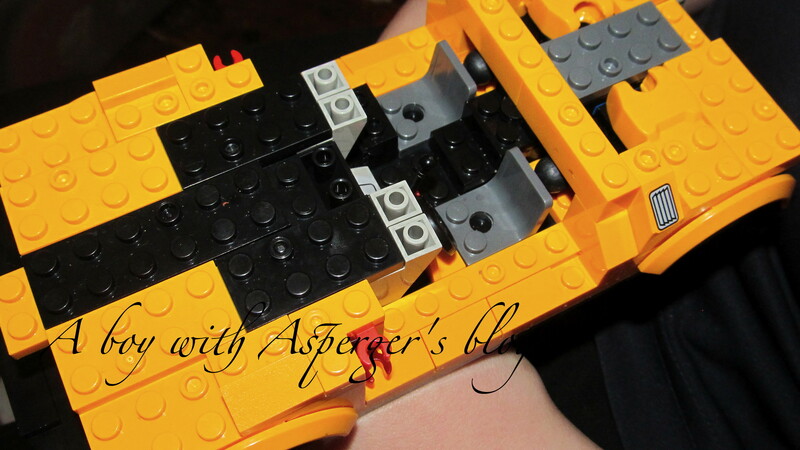 Pieces are fully compatible with other leading brands, your child may not want to build the vehicle or the robot! 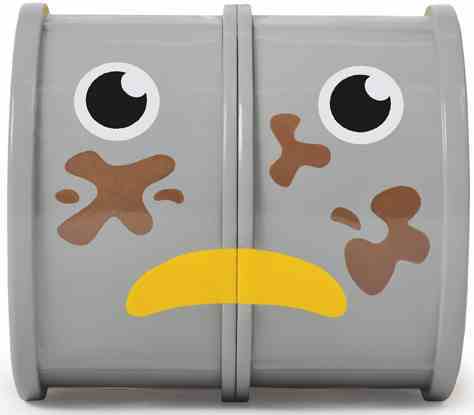 KRE-O helps to enhance your child’s creativity offering a multitude of play scenarios. Only disadvantage for me was that fact it came with no plastic storage case! What with the amount of pieces, I would have really liked there to have been one. However if your child has many sets of this kind the chances that they will already have one is pretty high. 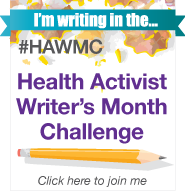 Another day, another Santa’s little helpers and blog-match mission. The guys at blog-match have matched us to the guys at imagination games, who sent us the game Ka’lide. 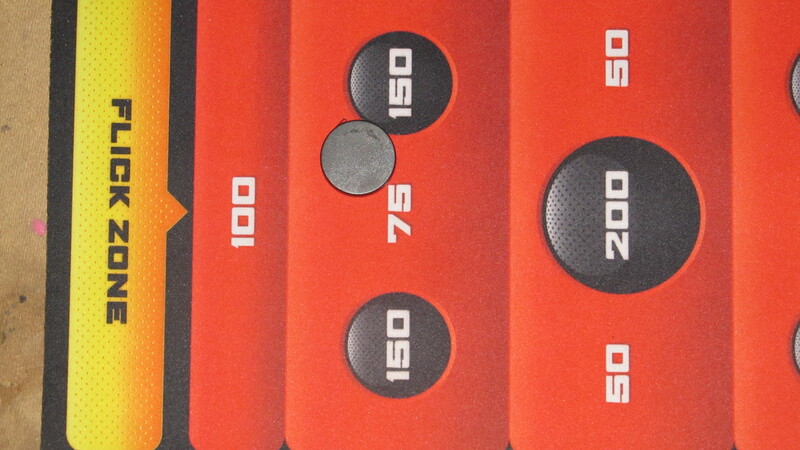 Score points by flicking, bumping and sliding your magnetic pucks onto you’re scoring side of the game mat! Note: You will additionally require a pen and paper (not included) to record the scores. Set up in a room that has lots of space being careful to remove any breakable items away from the playing area. Closet to 200 point circle wins the “flick off” and therefore goes first. If a player overshoots it becomes a dead puck and must be left where they have fallen to the end of the round. 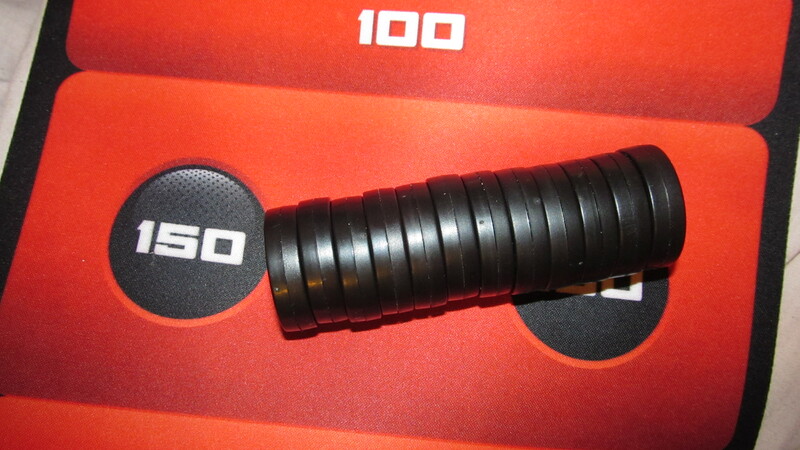 A player can knock or magnetically push another puck into the scoring zone. For these reasons scores should only be recorded at the end of each round. 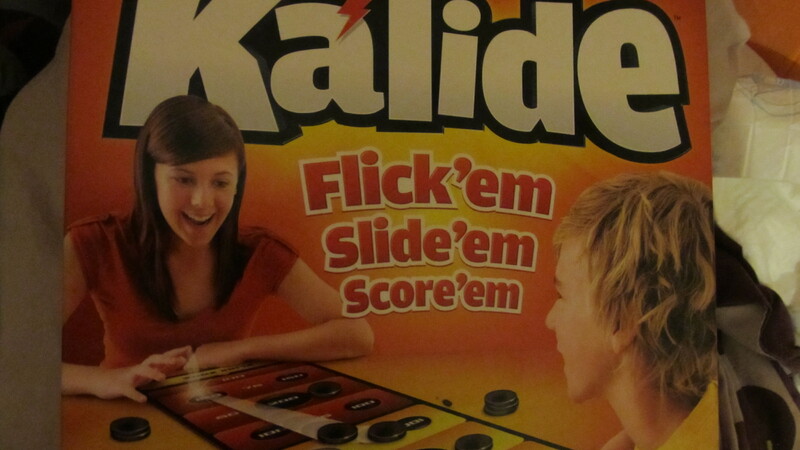 Three rounds make up one game of Ka’lide. Here comes a heart attack moment, Little man and his sister, my daughter Alice, actually played this game together. They just about managed it without actually killing one another. Ka’lide is very entertaining and is worth adding to your Christmas list. The game is good at helping aid the development of motor co-ordination as-well as fine motor skills, concentration and hand-eye co-ordination. The children engaged in a little bickering, but hay what’s new? 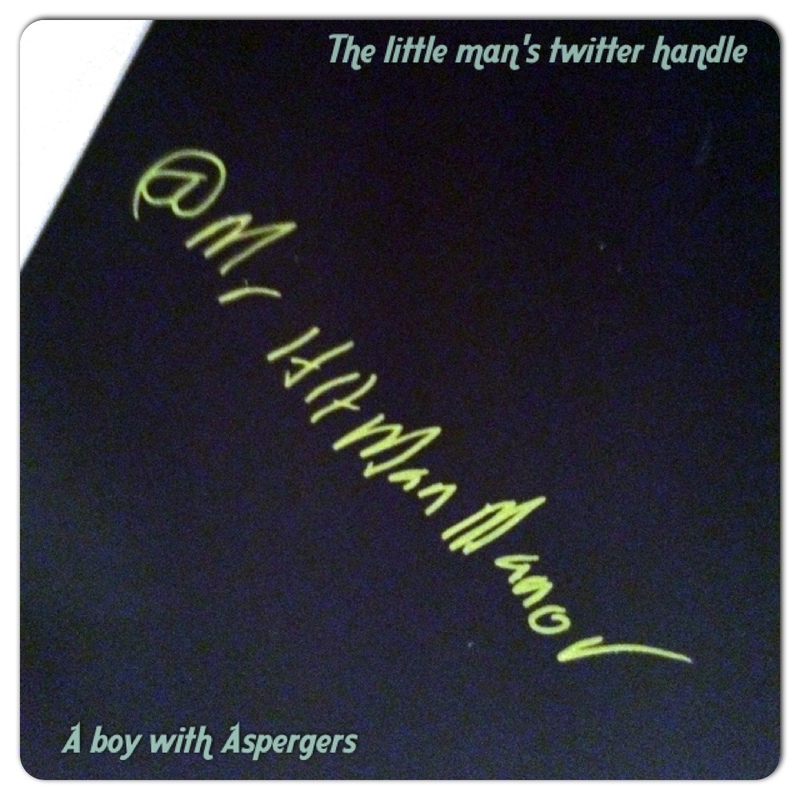 As mentioned before Little man tends to be overly controlling a symptom of his Asperger’s syndrome. When his sister scored he found it quite hard to take, with the lack of control over the game and the fact his a sore losers did prove difficult some of the time (though I guess his sisters slight smirk doesn’t help either)! Over all a fabulous game. Give it a go and have some fun. In August Harley shared some WOW toys with everybody as part of the, ‘Santa’s little helpers’ feature that’s now in full swing and is in it’s third month. Little H had so much fun playing with these fabulous toys, that I wanted to share some more of their products with you all. For those who didn’t see our last WOW toy review back in August,here’s a little more about them. WOW toys are designed for children aged between 18 months to 5 years old. The guys at WOW know a lot about toys, all are designed and made from scratch each going through a series of strict safety checks before finally being delivered to the shops. WOW toys are packed with developmental benefits! These toys are great for pre-schoolers as-well as children on the autism spectrum, not only do they help feed a child’s imagination but help develop basic motor skills to advanced social interactive role play. WOW toys don’t require any batteries and this is a feature I’m sure many parents will love! 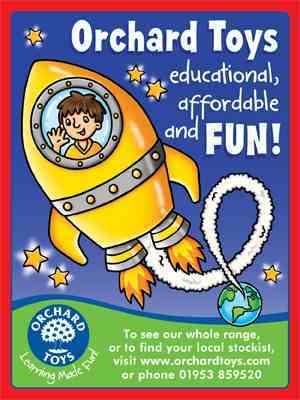 WOW toys grow with your child, offering great value for money, making them the perfect gift for your little ones. 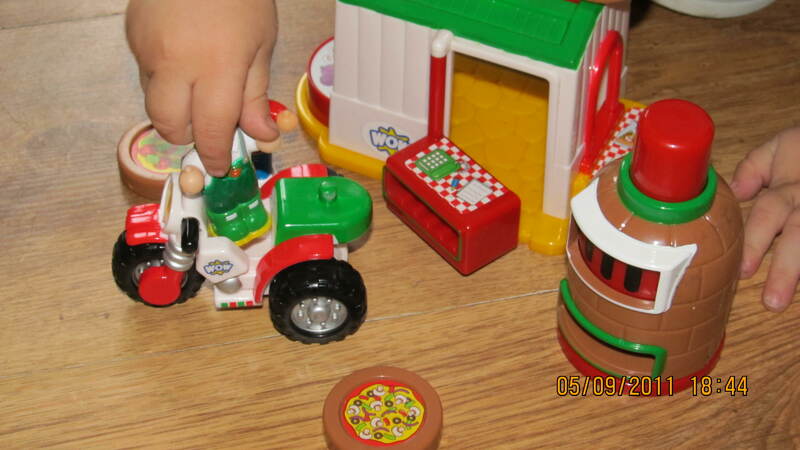 This time Harley reviewed Mario’s Pizzeria & Roll it Riley. Lets start with Mario’s Pizzeria. As a parent I think it’s a fabulous set, that hosts a great set of features for your child to discover and learn, keeping their little minds busy. The full five stars is given to this toy as it really does give off the WOW factor. Next up is… Roll it Riley. Harley loved this one as he associated it with Bob the builder. Though the supplied figure went by the name of Kev, H insisted on calling him Bob and I gave up on telling him, “Not Bob, that’s Kev” So Bob it was. The face changer was enjoyed by H and as well as pushing it around the living room he sat spinning the roller and copying the expression, which was so cute but funny at the same time. He played with Riley alongside his pizzeria and at one stage he swapped roles between Kev (aka Bob) and Mario:) Lots of fun was had and Riley kept him very busy and fully entertained. **** stars is again given to, ‘Roll it Riley’! As a parent I loved the spin and sort face changing feature (when Riley moved his face expression changed) This made me think about the potential benefits of such a toy for a child on the autism spectrum who has difficulty understanding facial expressions as Riley could prove a great resource, offering the children a fun way to learn and understand these expressions better. I really laughed on discovering the name of Riley’s driver, “Kev” it’s sad but true, that yes, many blocks in construction are called John or indeed Kev (well, at least it seems this way, as I know of a few, *giggle*) I’m finding it really easy to again give the product the full five stars. I highly recommend WOW toys for your toddler/pre-schooler. This is a very honest opinion, otherwise why would this mum have WOW toys hidden in the button of her cupboard ready for Little Harley’s 2nd Birthday which is on the 11th December. We are also planning to add to the collection at Christmas (yes, just two short weeks after his birthday, meaning a very expensive December for this mum). WOW toys can be brought from a number of stores both on and off line. Amazon have a great range and Argos stock them too (they are currently including a small number of their Wow toys in the offer, “2 toys for £15″. 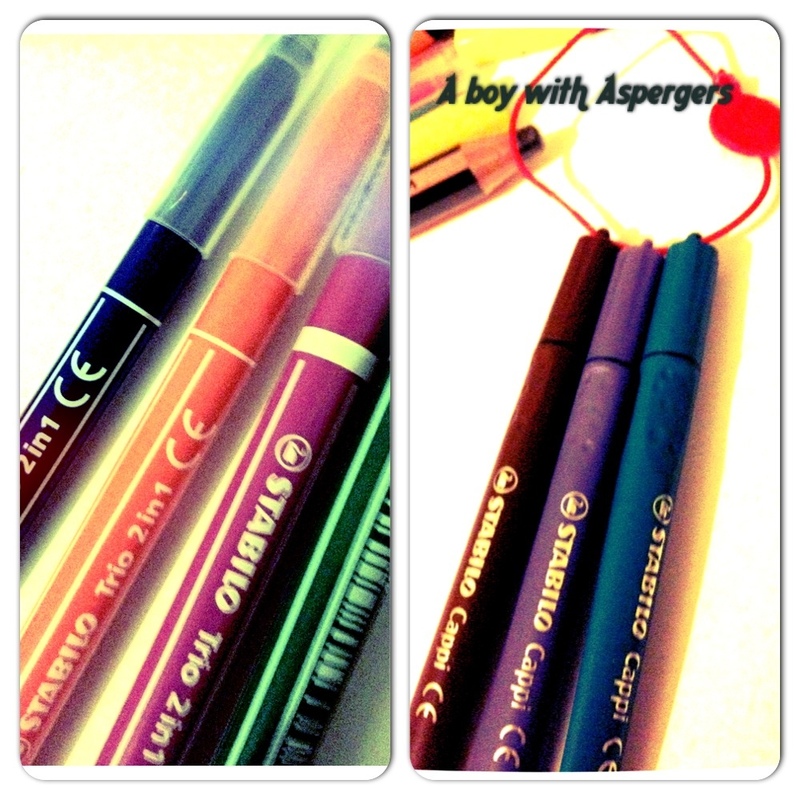 Some weeks back, I wrote a post giving some, ‘Back to school tips’ to fellow parents of children on the autism spectrum. One of these tips related to shopping and the common issues experienced when having to shop with a child on the autism spectrum. With these issues in mind, I made the suggestion of purchasing your, “Back to school necessities” online, and to do so within good time! Well, I must admit, that I myself failed, “Yet Again” to follow my own advice. 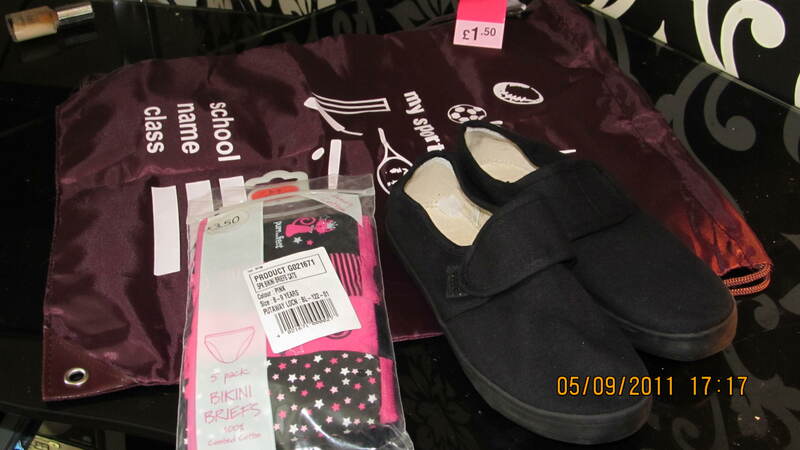 Last week I still had school shoes, lunch boxes, PE kits and more to buy! Well, thank you Matalan for saving me from what may have been, a shopping nightmare! Little man has been known to have some almighty mid shop meltdowns and I didn’t fancy another! Yes, the lovely people at Matalan sent me an email setting me a challenge. I’m pretty used to challenges, but in this case it was the welcomed type! Matalan online sent me a £50 voucher, all I had to do was spend it carefully, getting as much for my £50 as possible. Lastly, I was to share my bargains here with my readers! No problem, I’m not only a mother but a woman who loves to shop! 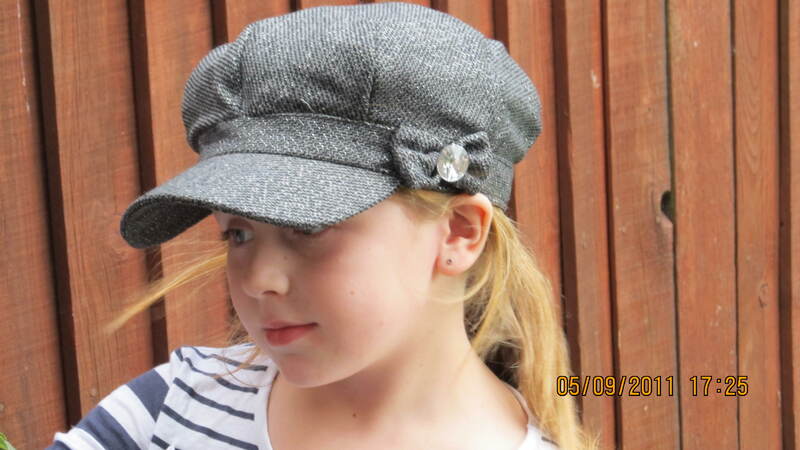 So, from the comfort of my sofa, with no meltdowns, anxiety or tears, I went shopping at Matalans online store. On loading the site, I discovered that there was a sale showcasing items from just £1, (Oh yes, that’s my type of sale)! Ok, Ok, I went 25p over, though I think that’s good for me. That’s 14 items listed there, didn’t I do well? delivery was super fast, arriving at my door with a smile just two days after I placed the order. My delivery was free as part of the challenge, however, Matalan are offering all customers spending £40 or more a special delivery rate of just £2 for a limited time. I also received an exclusive reward, ‘A boredom busting voucher booklet’ entitling me to a discount of 20% of at ‘Yellow Moon’ as well as lots of other offers to keep the kids smiling such as, Kids bowl free, kids go free to Merlin attractions, (Legoland, Chessington and more) 2 for one on visits to Merlin attractions and many more.To little man’s delight the boredom busting booklet also contain a 25% off City sightseeing bus tours (yep, we’re going next week). I am unsure if the promotion is still active. 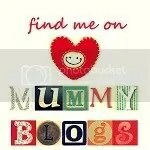 To find out, or check for any other offers, check the Matalan site or the blog (URLs at the bottom of the page). The Sale is currently still on and is offering some items at a massive 75% off As you can see from the above, it hosts some great bargains! For me my best buy has to be the Hooch boots that had a fabulous £11.25 saving. These will do Alice-Sara proud in the winter I’m sure! They look really well made, as-well as being bang on trend. 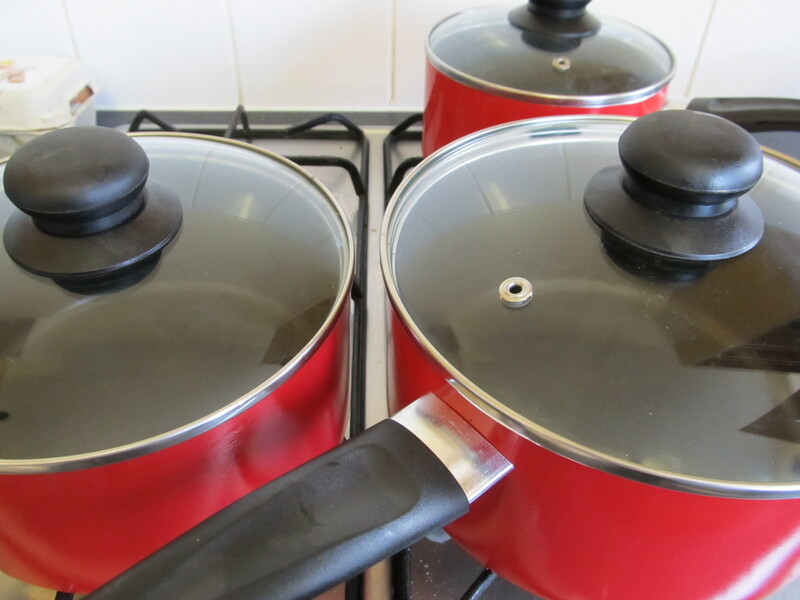 The non stick pans, well, how can you resist a price like this? £5.50 is a steal. 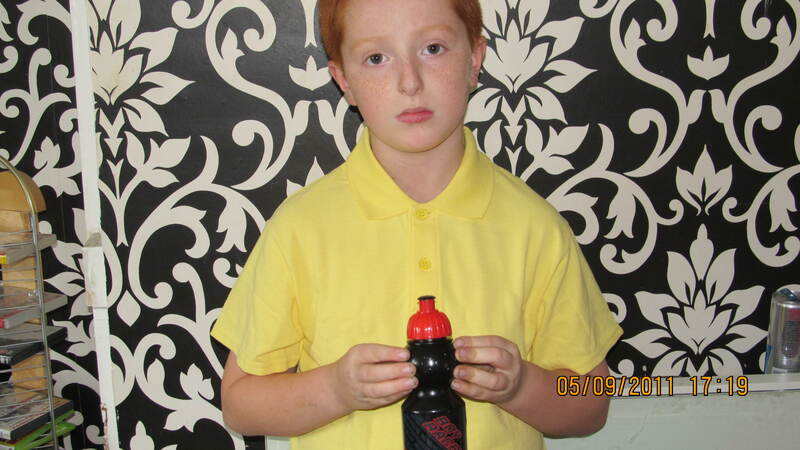 We decided that the leggings were much to nice for PE and having only cost £1 we are very pleased with them. Even the items not in the sale were a steal. Little man has problems with his fine motor skills, making laces a problem! 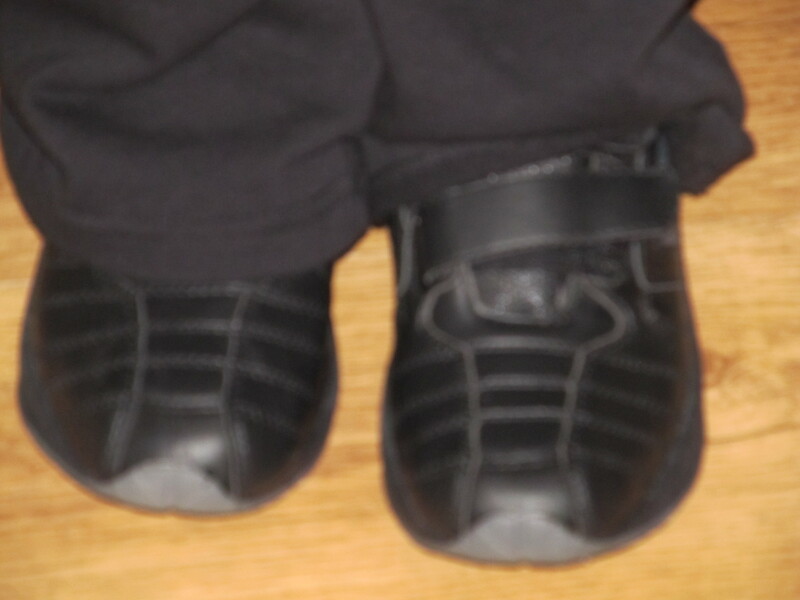 His black trainers with velcro fastening are ideal and a great price too! It’s clear to see that Matalan’s have had a redesign and I was pretty impressed and excited at what was on offer throughout both of these books. Looks like its going to be a fantastic Autumn at Matalan this year. Our mission to create a Christmas list of must haves for pre-schools, young boys and girls and not forgetting those on the spectrum is coming together a treat. 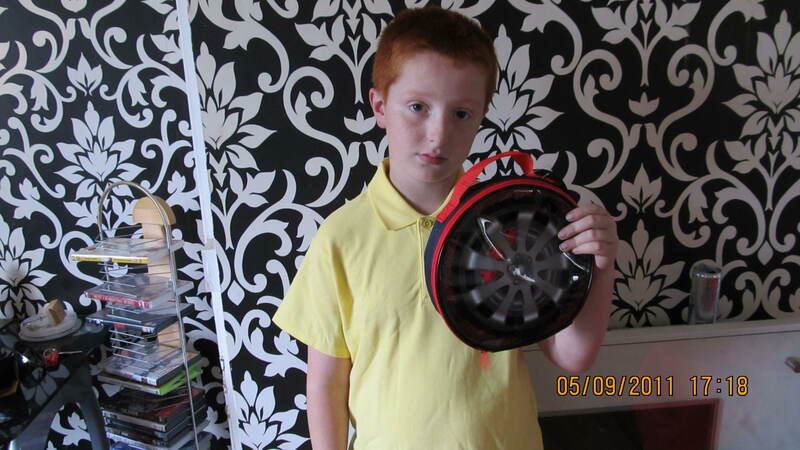 Harley recently reviewed some WOW toys and despite the review being carried out by Harley as opposed to little man, the toys are in my opinion fantastic for children on the autism spectrum. WOW toys are designed for children aged between 18 moths to 5 years old. The guys at WOW know a lot about toys, all are designed and made from scratch each going through a series of strict safety checks before finally being delivered to the shops where us parents all over the world buy them for our little ones to open on Christmas and birthdays. 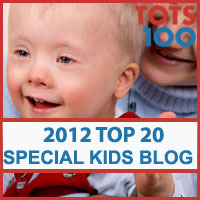 What’s great about WOW toys are the developmental benefits each carefully designed toy has to offer. 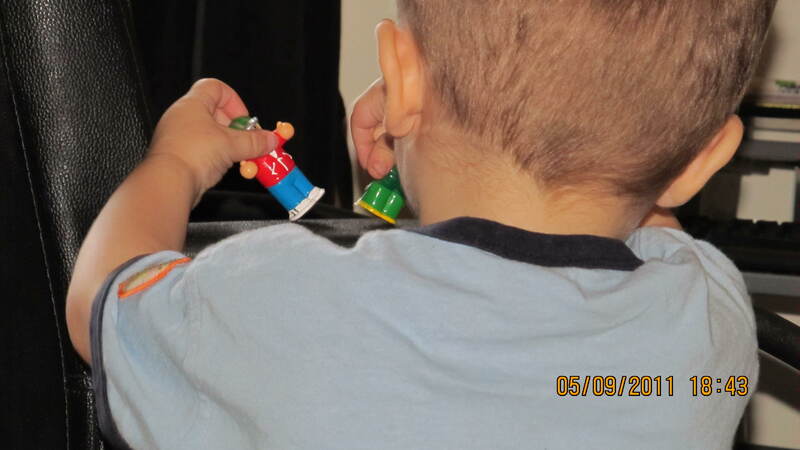 These toys are great for pre-schoolers and especially those children with autism spectrum conditions because not only do they help feed a child’s imagination but help develop basic motor skills to advanced social interactive role play. There are many developmental benefits when giving your child a WOW toy. The early development of Gross motor skills, social interaction with adults and siblings, advanced sensory stimulation and improvements in fine motor skills, discovery and learning and that of imaginative role play. 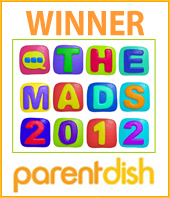 The toy and your child grow together making WOW the perfect name and seriously great value for money. Harley’s face lit up when I gave him Robins Medical Rescue (from the emergency range) and George’s Dragon Tale, (from the fantasy range) to play with. 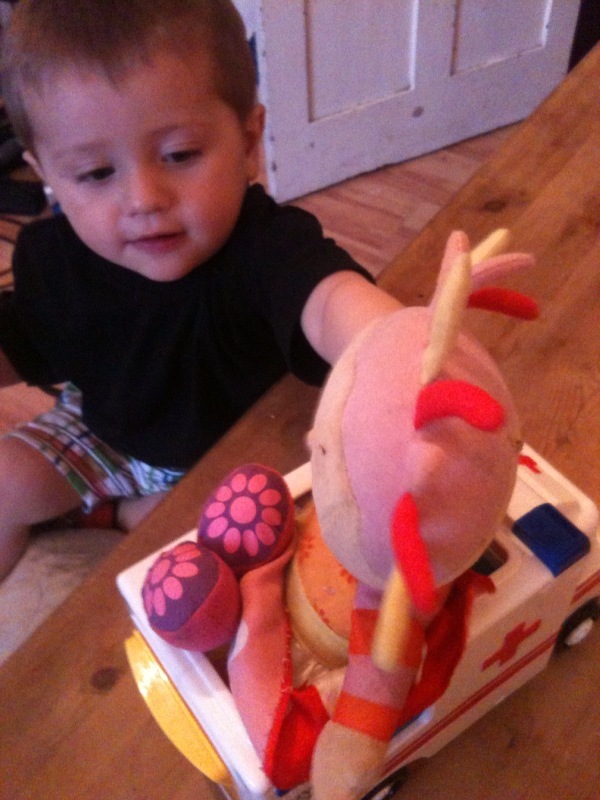 Lets start with Robins Medical Rescue! A speedy ambulance complete with, Paramedic Nina, Mother Pearl, Sandy (boy figure), one removable stretcher and one removable wheelchair. This toy comes with ten features, two being WOW magic features (wow button to release hatch allowing the wheelchair to roll down the ramp and an xray machine that reveals a cool image of Sandy’s broken leg). 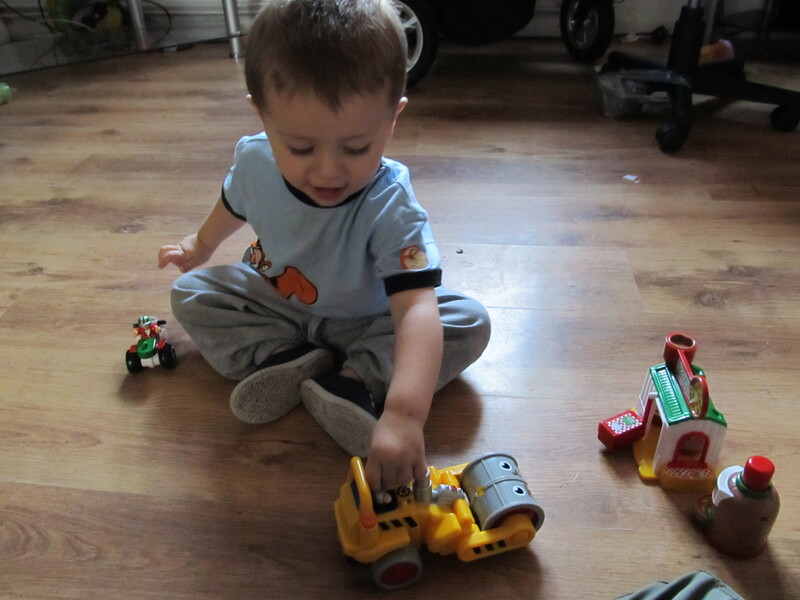 Other features include a sliding door with clicking sound effects, realistic engine sound and friction powered motor. All this without batteries! That’s right all WOW toys are designed to be fun without the use of batteries much to a parents delight. This is the first toy I have known to hold my toddlers attention for a seriously long period of time. He was completely taken by it and truly loved it! We had to take it away in- order for him to eat his dinner (not without him demonstrating his tantrum skills which he now has to a perfection)! 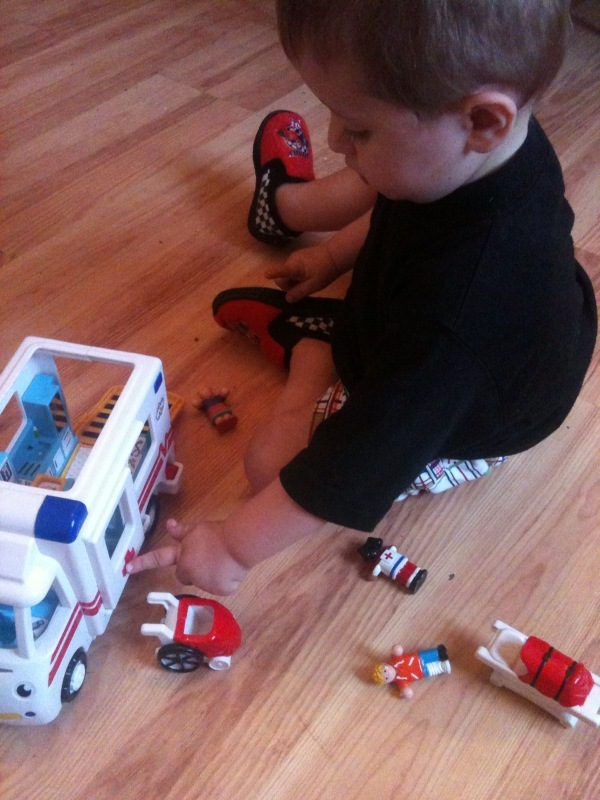 Harley liked this toy so much he started to put some of his other toys in robin the ambulance taking them for a high speed ride around our dinning room. Without a doubt this is 10/10 from Harley. 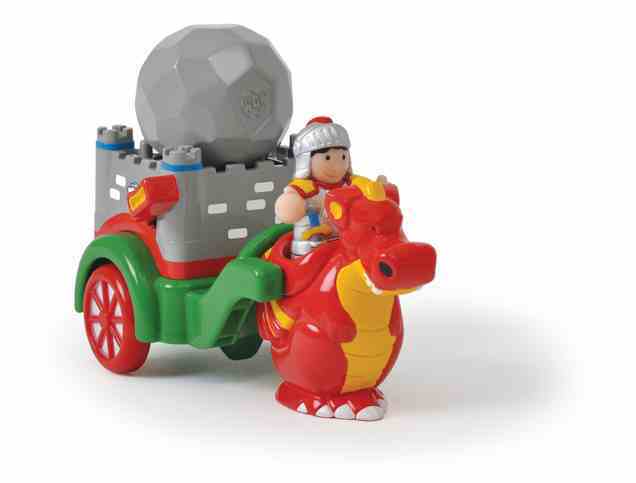 A very cute toy consisting of a push along chariot, one removable boulder, George the knight and one removable dragon. Features include realistic sound effects, removable pieces and a working catapult much to Harley’s delight. Visit the WOW facebook page for lots of fun competitions and info on WOW toys. To find a stockist please click HERE to visit the WOW official website where you can also see some other amazing WOW toys on offer!